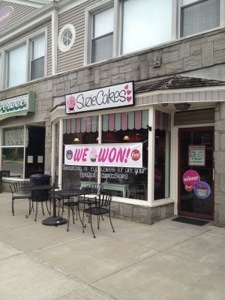 A new cupcake shop has opened up in Downtown Milford, have you heard? 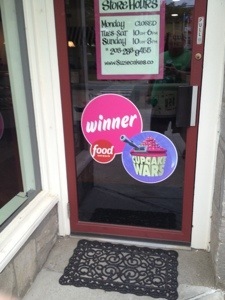 SuziCakes are the recent winners of the Food Network’s Cupcake Wars, and they will be sure to win you over with their award winning sweet treats. 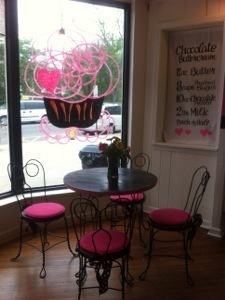 SuzieCakes has recently moved to River Street within walking distance of so many great shops and other food spots. 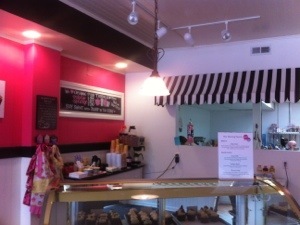 The quaint little shop is adorable and inviting just like the little sweet treats they create and sell. 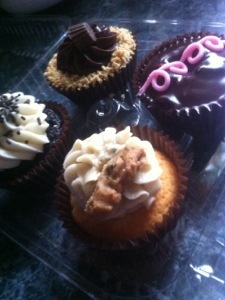 I’m always on a quest to find a cupcake worth talking about, and SuzieCakes’ cupcakes are very good. First, they are portioned well. You are getting a standard sized cupcake with what I consider to be the perfect ratio of frosting both on top and in the center (for those flavors with a filled center). Also the flavors rotate regularly, so there is almost always a new flavor to try. 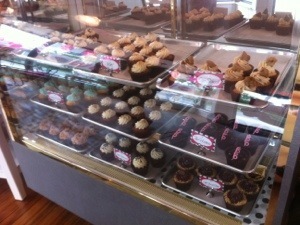 Each day SuzieCakes features several “EveryDay Flavors” and two “Daily Special Flavors” along with two surprise flavors. All About Ethel is SuzieCakes’ tribute to Ethel Mertz. 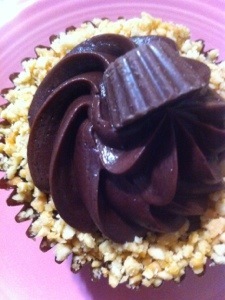 This chocolate cupcake is filled with peanut butter mousse and topped with milk chocolate buttercream, chopped peanuts, and a mini peanut butter cup. 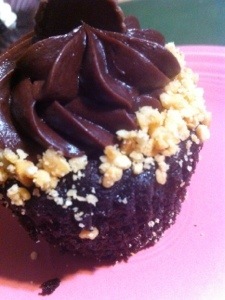 All About Ethel is a perfect choice for the chocolate and peanut butter lover in your life. 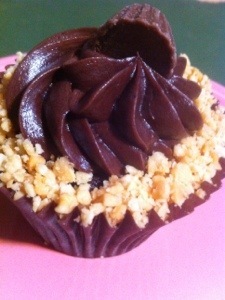 The peanut butter mousse is a rich, smooth filling that balances out the rich chocolate cake and frosting. The chopped peanuts add extra texture with a little bit of crunch. TIP: The chopped peanuts are also a little messy, you will lose some as you peel off the cupcake wrapper no matter how carefully you do it. 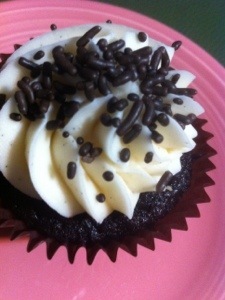 SuzieCakes’ Old Fashioned is a chocolate cupcake with French vanilla buttercream frosting and chocolate jimmies (aka sprinkles). 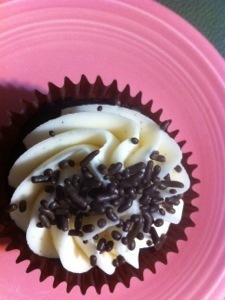 My favorite classic flavor of cupcakes or cake is chocolate cake with vanilla buttercream frosting. 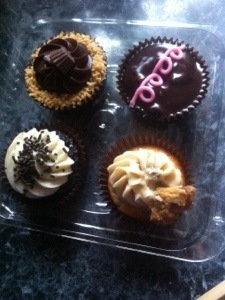 In my opinion, if a bakery cannot make this standard flavor correctly I will not go back for a second visit. SuzieCakes hits the ball out of the park with their Old Fashioned. 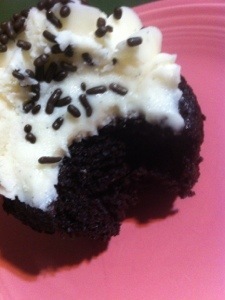 The chocolate cake is moist and delicious, the vanilla buttercream frosting is the right consistency and flavor, and there is the perfect amount of frosting on this cupcake. 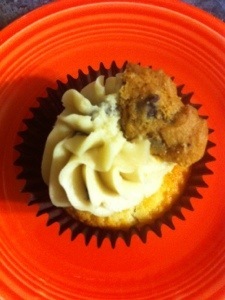 The After School is a vanilla cupcake filled with cookie dough and frosted with a brown sugar buttercream with a chocolate chip cookie for garnish. 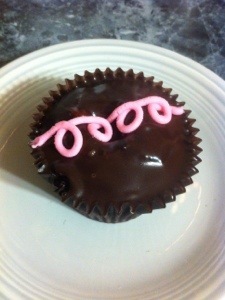 The After School cupcake is a fun indulgence! 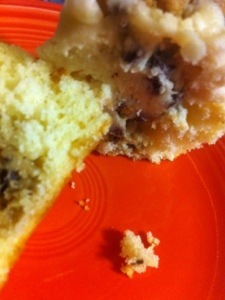 Whenever I bake chocolate chip cookies I like to sample a little of the dough, who doesn’t? 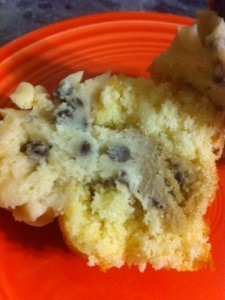 Well, now that little taste of cookie dough is in the center of this moist vanilla cupcake. 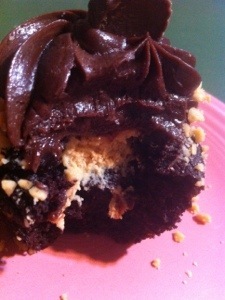 That’s right, there is cookie dough in the center of this cupcake! 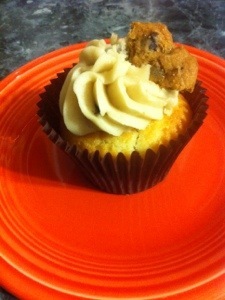 If you like chocolate chip cookie dough and have a sweet tooth this cupcake is for you. 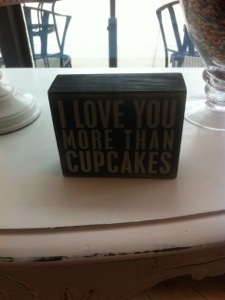 cupcake makes me feel nostalgic, and I know when you eat it it will make you smile like a little kid too. 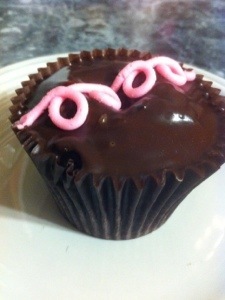 The perfectly moist chocolate cupcake is filled with a marshmallow creme filling, frosted with a chocolate ganache and piped with squiggles of pink frosting. 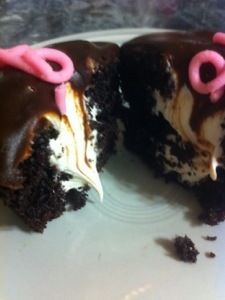 Don’t let its appearance fool you, this cupcake is so much more than a Hostess cupcake ever could be. 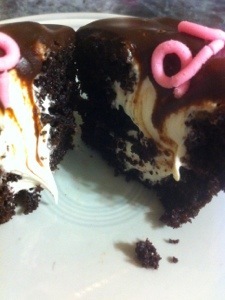 The gooey, sweet filling combined with the chocolate cupcake SuzieCakes makes so very well and so consistently along with the decadent chocolate ganache puts this cupcake on my list of my top favorite desserts. 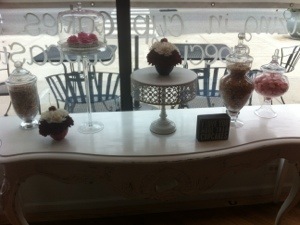 My Dream Cupcake provide best cupcakes, cakes, birthday party cakes, wedding cakes and many more in Hartford, Litchfield, Fairfield visit site for more.